You created your survey with the help of Surveybot’s Getting Started Guide and then you promoted your survey to build your panel of subscribers. This can increase your chatbot survey response rates because when respondents first start the survey, they may not be familiar with chatbots. Therefore, they might miss the quick replies on the bottom of messenger. Tip #2: Keep it visual ? You can increase your chatbot survey response rates by using images to help explain your survey questions. Often times visual queues help communicate the question more quickly than plain text and this helps respondents understand and respond faster. 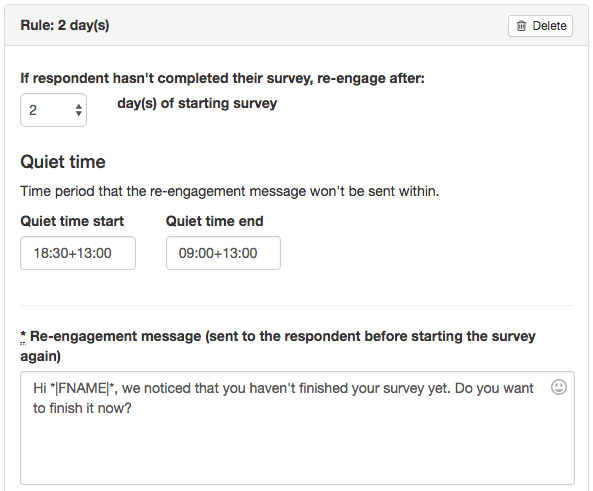 Send people a re-engagement message after a certain number of days if they do not finish the survey. You can automatically set this up from within Surveybot by going to the design section of your survey and clicking on the re-engagement tab. You want to invite people to take a survey when they are most likely to respond, such as when they are checking their social media to pass the time. 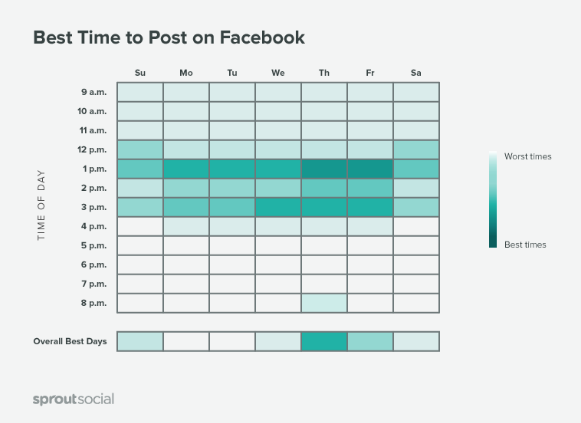 According to Sprout Social, the best time to engage with people is between 9 a.m. to 3 p.m. Wednesday through Sunday. Statistics show the ideal time to post is Thursday at 1 p.m.
Use this knowledge when you select a time to schedule your campaigns on Surveybot and you will see an increase in your chatbot survey response rates. The optimal length of your chatbot surveys over messenger should be no more than 10-15 questions. This is because you want your survey to be conversational and badgering someone with too many questions will likely result in an abandoned survey. Remember, once you have started a messenger conversation someone, you can always ask them more questions at a later date. If your survey is going to take 2 minutes, tell them. If it takes 10 minutes, tell them that too. It’s better to be upfront about the time commitment rather than have the survey take longer than they expect. Also, make sure to motivate respondents by showing them their progress. This is easy to do by inserting the progress bar object into your survey during the design step. Your respondents should feel like taking your survey is as easy as a conversation. One way to create this sense is by responding to the peoples’ replies. To do this, try using the answer piping* feature that can be found in the logic tab of a question when you create your survey. 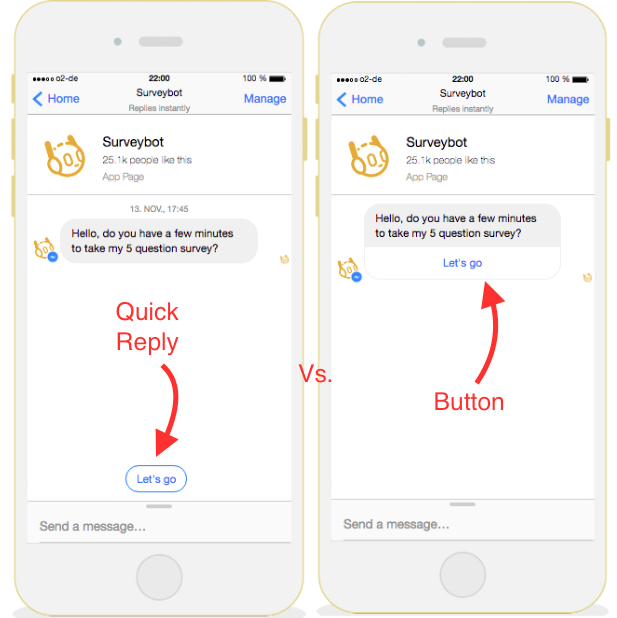 On average, Surveybot users see around 80% and above chatbot survey completion rates. Try out these tips now and increase your chatbot survey response rates.